Chaos Queen Beleen... Ooh the pink... it BURNS... BURNS!!! But when Beleen accidently finds Chaos… her powers mutate in the strangest (and pinkest) ways possible! Artix’s Paladin Armor becomes PINK!! Put an end to Beleen’s Pink Madness before it infects us all! The horror… the HORROR! Click here to stock up and save! The sentient AI M4tr1x is online and ready for battle! Complete the tasks of this mysterious entity to uncover the secrets of Delta V.
Defeat her in battle and gain access to her shop of exclusive items! Titles + July Z-Token Package + Independence Day Rares! One of our most exciting updates will be coming this week - Titles for your characters! Titles can be earned through completing various tasks! 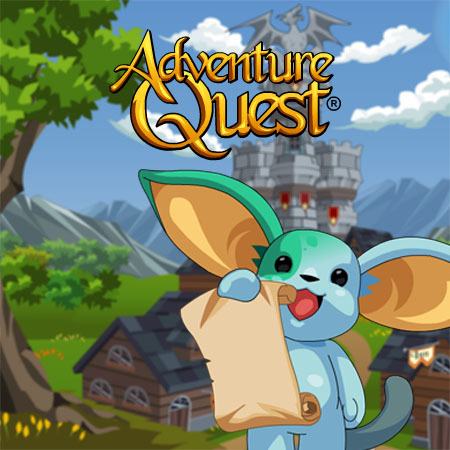 Or talk to Procly the Town Crier in Battleon to find a list of buyable titles! Also don’t miss the awesome gear coming out as America celebrates Independence Day! July Z-Token Package - Gudbrand and Gudskelduz! Replaces Glass Cannon Pet as one of the bonus items that comes with the 12000 Z-Token Package! Only the most powerful fighters can wield these together in combat! Get a brand new mecha designed and animated by Korin and colored and shaded by Lyris! This mecha embodies the concept of freedom! Show your pride for the day when the whole planet became one nation, allowing the freedom to travel and visit anyone in the world. This also made it possible for heroes and villains not to be slowed down by tollbooths! …before her screams are made into a weapon of fear! Visit this adorable, yet powerful, android for a huge cache of new weapons! In a bit of failed [kinda-]corporate espionage, Kamui discovered that an old lab was not quite as abandoned as he’d thought it was. Worse, the current occupant apparently is a Numbered Beast with something to prove. With the beast and its minions bearing down on Deren and the recovered Orbs in the Temple of Hope, the question remains: Why do they want them? The Mohawk is being reintroduced as a Star Captain Exclusive Mecha! You can pick up this version, with brand new specials, in the Star Captain Club Friday night! SKYLAB Z: …. CONTACT LOST …. Follow the offical BioBeasts Twitter for more news! The 5 winners of AQ’s Biggest Fan Contest await you in the Arena of Enthusiasts! Can you defeat 5 of Lore’s fiercest fighters? Take down all 5 in battle and earn yourself some awesome gear! At the edge of Tkaanie, surrounded by lush silvered trees, there is a small village famous for its honey. A small and peaceful place, where nothing out of ordinary ever happens. But that’s about to change. It’s summer break for G.E.A.R.S.! Head to Lagos for some rest and relaxation on the beach! Be a Video Game tester! Become a Legend if you aren’t one already! and claim 2 new NPC sidearms for your own! Helms unlock at 7,000 Facebook Likes --SUCCESS! BioBeasts Pet unlocks at 100,000 Facebook Likes! The beginning to an unbelievable saga awaits those brave enough to investigate! Plus does extra damage against dragon types! Offers excellent protection against dragons and their kin! Are you as excited about BioBeasts as we are?!? The creative minds behind EpicDuel are proud to announce BioBeasts, a free single-player arcade-survival game coming soon to iOS and Android. Your mission: escape, mutate, DESTROY! Play as a mutating monster fighting its way through a robot-controlled laboratory. But you’re not just some ordinary monster… you’re a BioBeast, and as you grow stronger and more powerful, you evolve and mutate! Wicked. Use simple tap controls to unleash devastating damage upon the onslaught of bad guys trying to capture you. 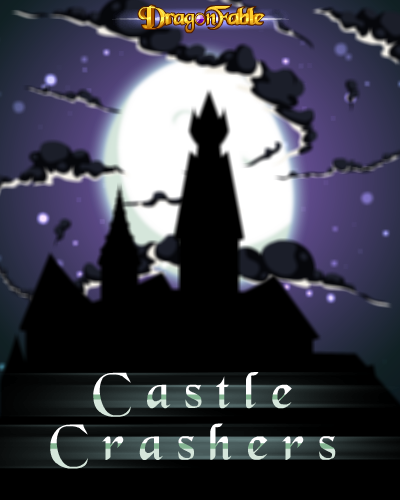 It’s a fast-paced fun game that’s simple to pick up but hard to put down. We know that you and all your friends are going to LOVE this game. And that’s why we need YOUR help telling everyone about BioBeasts! This is kind of like a contest…except everyone will win prizes if we all team up and work together! 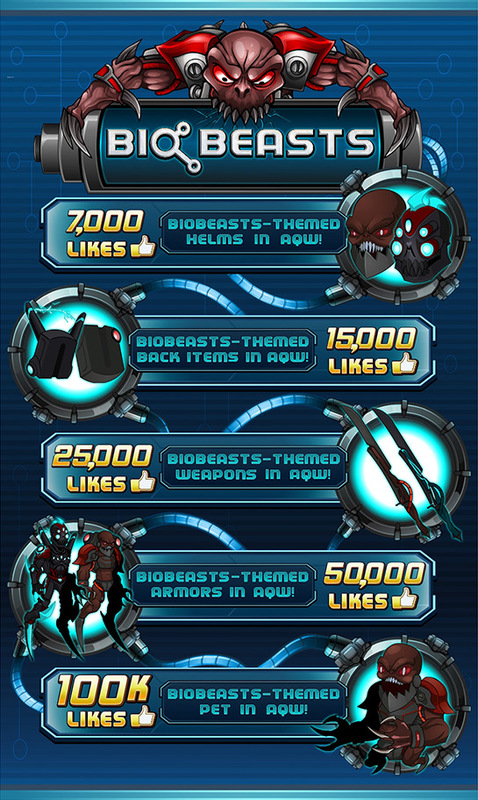 All you need to do is Like the BioBeasts Facebook page, and the more Likes we get, the closer we will be at unlocking exclusive BioBeasts-themed Armors, Helms, Weapons, and more inside AQWorlds. Helms unlock at 7,000 Facebook Like -- SUCCESS! The Electro BioBeast gear is free for ALL players. The Hazardous BioBeast gear is available for Legends. Every item is 0 ACs for free storage! Click here to Like the BioBeasts Facebook page, and we will be one step closer at obtaining these exclusive BioBeasts-themed items for AQW! Thanks so much for supporting BioBeasts, EpicDuel, AdventureQuest Worlds, and all your favorite Artix Entertainment games. Can YOU defeat 15 of Lore’s fiercest fighters? Challenge them to head-to-head combat! Limited-Time: Ultra Revenger and Jurassic Raptor armor sets! Starting Friday, EpicDuel is activating a POWER WEEKEND! Get double XP and Credits all weekend long! As we grow nearer to the new Temple of Hope’s completion, a communicant of the Wind Lord seeks your assistance. Only the Chosen of Lore can face the perils that lie in the Immertot version of the Abode! Log in every day in June and receive an extra 20 tickets! Her Highness, Queen Safiria, has summoned you back to her castle… at the request of Thursday?! What does the vampire queen have planned for you and your friends as you meet on the shore of her blood red lake? Log in this Friday to find out! There seems to be trouble stirring on Zargon! Selina needs your help figure out who’s causing blackouts all over Zargon! 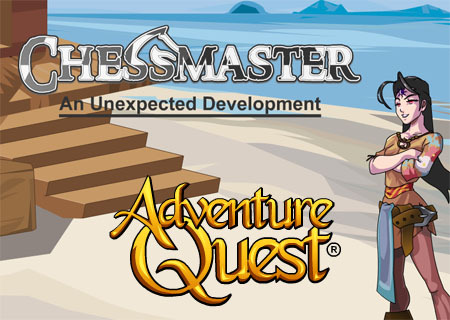 Like the Raffle Contest in AdventureQuest, and Even MORE Game Releases! You’re in the Lightning Dragon territory now! If you survive the storm… you may be richly rewarded from the dragon’s treasure hoard! Party with the NPCs house band LIVE at Yulgar's Inn! Be sure to stock up now! This week, we discuss some unique programming challenges we’ve overcome in mobile development. Remember to visit the BioBeasts website and follow us on social media to stay up-to-date on the latest developments. Heh… sounds like a recipe for adventure! Transforms you into the ultimate fire dragon Akriloth! You’ve found the Vind’s ally! Now you have make a run for it and get out of Espina Rosa! Weren’t Navon, Dracelix and your dragon heading there too? This can’t be good! Can you escape unscathed or will it turn into a disaster? The last shipment of mecha parts Tek ordered never made it to her shop! Speak to her and find out how you can help recover them! Battle through The Forgotten Tombs this weekend as we continue the saga of Dage the Evil. Members of the Undead Legion guard one of Dage's most treasured artifacts deep inside the tomb, and Laken's Seraphic Paladins will do anything to possess it - the fate of the Dark Shard depends on YOU! Don’t just be Epic, be Legendary! Level 40 is just the beginning. This Friday, Legendary EpicDuelists will have access to 4 new Legendary Stat categories, a new evolving Legendary Achievement, and an arsenal of new Legendary gear Titan’s Peak! We’re adding a new Underdog Core balancing mechanic to help lower level players have a fighting chance against super-powerful opponents. Want to learn about the top-secret technology that is essential for game development? Learn about this amazing invention, and how it applies to the development process of BioBeasts in Titan’s latest Design Notes post! Dark Madder has stolen the Gaunlet of The'Galin. Her army has taken over the SS Alteon and now plans to turn it's weapons on Lore! Also don’t miss the amazing Pueblance coming to the Limited-Time Shop this week for Cinco de Mayo! Every year, for the past twenty years, on a special day Yulgar has brought a bouquet of flowers to the Falconreach pet shop; first for his girlfriend, then for his wife, then… for a memory. 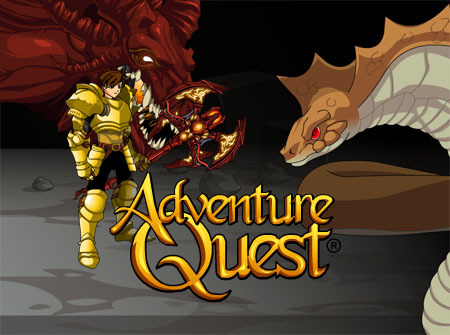 This week, join Yulgar and his daughter, Aria, for the first half of our Mother's Day quest event and listen in as he retells her favorite childhood story about Yulgar’s First Date! Celebrate Cinco de Mayo and the Birthday of Randor the Red! Parma John’s mom is visiting and a group of Rusty Rat’s has ruined the cheese for the meal! You need to help him find more before his mom arrives! Mother’s day Mods will be available in Soluna Main! Pass through the Phoenixrise Gates to enter a restricted area entirely controlled by the Firestorm Onslaught. Tread very carefully and keep your weapons close at hand, because each Firestorm Warrior has pyro-battle magic hotter than their tempers! Battle your way through the maze of corundum caverns and defeat the dread beast Cinderclaw the Ravenous! The fate of Embersea will rest in your hands... IF you survive! The I Can Has Mod contest has returned! 3 amazing versions of the elemental Dragon Blades are being hidden around Lore this week! Follow the clues and claim yours while they are here. The Legendary Warrior gets a fresh look and will now sell you his legendary blade if you can best him in battle! The Legendary Warrior can be found randomly using the Battle Monsters button. This is the final week to get your Dardebil player face in Warlic’s shop. May Z-Token Package - Crystalpyre Set! 3 new bonus items that come with the 12000 Z-Token package! All 3 can swap from Ice to Fire element! No matter how hungry you might be... don't take samples without asking! Face down a renegade defense mecha and make sure the joke is on it! The Ultra Tron defense mecha has gone rogue! Help take it down and you can get a debugged version to use for your own! The Maypril mecha is here! The Joker is back with new animations and all new specials! Get it while you can because it'll be gone Wednesday at 5 PM server time! The Chaos Plague is Spreading! Who will be Infected Next? Berzerker Bunny ( Seasonal Rare ) Evolution Coming Soon! Celebrate Cinco de Mayo with new cool guitars! It is also Randor the Red's Birthday so expect something special! 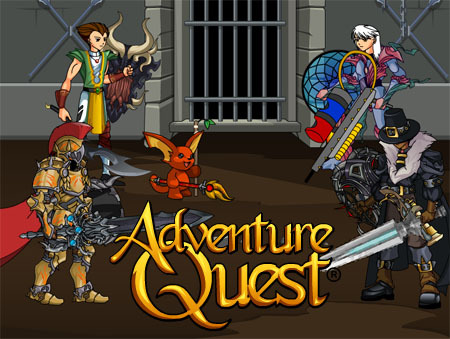 AdventureQuest, DragonFable, MechQuest, ArchKnight, BattleOn.com, AdventureQuest Worlds, Artix Entertainment, Artix, and all game characters are either trademarks or registered trademarks of Artix Entertainment, LLC.